And now, for some book-related history! There comes a time in every bibliophile’s life when you have to sit back, relax… and read an online blog instructing you on the history of books! Not all books are created equal (this is where you should start taking notes). Some books are newer than others, some books are flimsier than others. Some are made of pigs skin, some of human skin. (But not that many, thank god). Some are so delicate that to touch them is to risk their disintegration. And some changed the way books were bought, read, and used by the world. 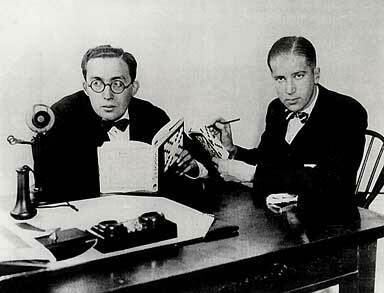 We speak, of course, of the modern paperback novel – on today, its 83rd birthday. A paperback is defined as being a book between stiff sheets of paper or paperboard, held together by glue (more often than by stitching or staples, as would be more likely to be found on paperbound pamphlets or booklets). Though paperbound works existed long before in forms of pamphlets and yellowback copies of existing works or dime novels, the modern paperback as we know it was only recognized in 1935, when the UK’s Penguin Books released their first paperback title, André Maurois’ Ariel. 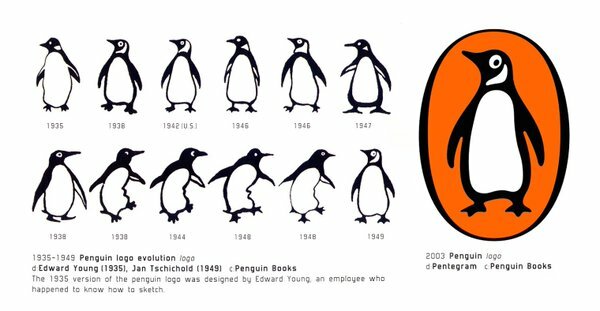 Now, credit where credit is due… Penguin Books actually took over design elements initially brought forth by Germany’s Albatross Books and their paperbound book idea in 1931 (cut short by the rapidly approaching onset of WWII). Allen Lane, publisher of the UK’s Penguin Books. The paperback revolution, as it is sometimes called, was something bordering on the revolution that the printing press made upon its release in the world. Penguin Books offering the first selections in English, published ten titles (all reprints of existing works, of course) in a relatively short period of time. British publisher Allen Lane, who invested large amounts of capital in Penguin Books for the publication of these paperbacks, ordered 20,000 copy runs for the first titles – keeping costs low. (According to history, as long as Penguin sold at least 17,000 titles of a run, they would break even – which they did – by a long run.) The books ran cheaper than a dozen cigarettes at the time – more than affordable to the average citizen. Though at the initial onset paperbacks were considered trash by booksellers of the day, once British department store Woolworths agreed to carry the novels and they sold unimaginably well, booksellers soon changed their tune. After all, within the first year of existence, Penguin Books had sold over 3 million copies of their titles. Penguin Books were a godsend during World War II. They were small enough to be carried in the pockets of soldiers, and brought more joy to the men on the battlefield than much else available in those days. Penguin Books was not alone for long, however. Simon & Schuster was part of the initial run of the American Pocket Books label, and soon “Pocket Book” and “Paper Back” became synonymous for small, paperback books, affordable to the public. In France they began to call the books livre de poche – pocket book. No matter where you turned, paperbacks had changed civilization in the western world as we knew it. With the advent of the e-book, one has to ask – where do we see paperbacks in the future? Surely they still serve the same services they once did – the ability to read on the go, carry a title around with you with less weight and at a lower cost. The antiquarian book world is an interesting place – we feel a bit removed from the new advances in book reading technology. If anything, with more and more e-book reading and online activity, books should become even more collectible and valued. But what of the mass-market paperbacks that are being made every day? Send us or comment your thoughts! This entry was posted in Antiquarian Books, Collecting, Events, History and tagged paperback on July 30, 2018 by tavistock_books.